A space of restoration and sale of products that transforms their services, adapting hours to consumer preferences. 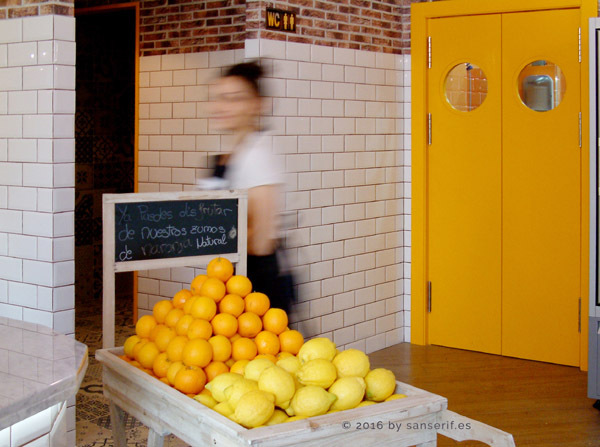 That is the new concept established by the designers Sanserif Creatius in the large chains Panatería, whose local is opening this week in Valencia (Paseo de la Alameda, 38). The emphasis is on the eclectic and industrial aesthetics and a bet on a product of artisanal quality, according to the head of Sanserif Creatius, Ana Yago. She’s coordinator of interior spaces of this incipient locals chain. The aim is to provide a new service model that evolves over time and adjusts to what the client demands. 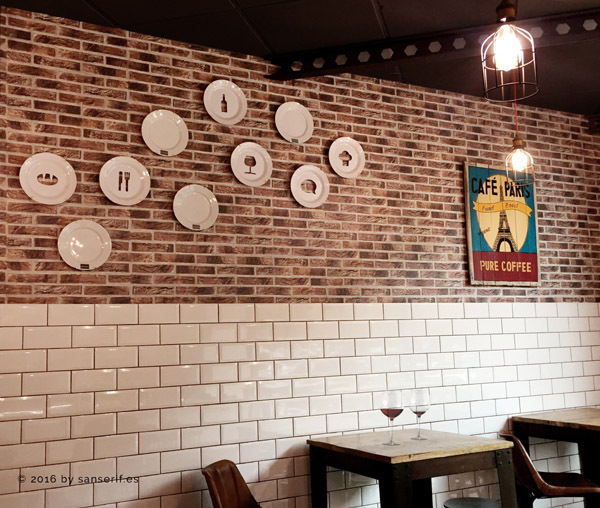 From breads and fresh pastries in the early hour of the morning to snacks and beers for a light lunch, or a wide range of tapas when the sun stops shining, which can be tasted in practical bar stools, cafe-style tables or comfortable vintage sofas as Ana Yago explains. And all this in an atmosphere of tiles and bricks textures that takes us to the old factories or workers of cities like Paris or London, with ceiling beams and pendant lightning where caged filament bulbs are the stars. An space with an industrial air space that integrates the warmth of the old village filled by using wooden containers and an extensive product range made carefully in an artisanal way but with value for money. 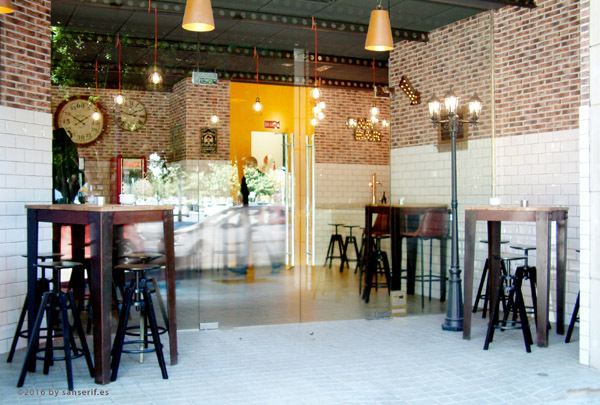 For the designer Ana Yago, it is reinterpreting a format that has spread over large cities, the one of copyright bakeries with tasting room, but reinforcing aspects that are neglected in this type of franchises. Examples are: customer convenience, the possibility of enjoying different environments in the same premises, as well as the evolution of the gastronomic offer. This last one to find different products depending on time of day when you visit. In addition, the creative director of Sanserif.es has explained that Panatería follows the philosophy of firms projects. The sustainability and the presence of local crafts are common in them, although in this case combined with a very current, warm, welcoming and informal interior where products can be tasted.